Pool Heaters 101: When is it Time to Repair Yours? 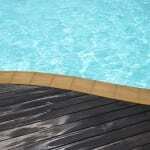 Home > Pool Products Blog > Pool Heaters 101: When is it Time to Repair Yours? 1. Your pool is not heating up at all. No matter how much you crank it up, the water is still freezing cold. The temperature of the pool will also likely stay the same, which will be a sure sign that it isn’t heating up. This is an indicator your pool heater needs to be repaired or replaced. If the water temperature only increases slightly, there is probably something wrong, but it is still functioning a little bit. 2. The pool heater is leaking water. This could mean that a part in the motor, like a gasket, is broken and is causing it to leak. It could also mean that a connection is loose and needs to be tightened. It is best to have your heater looked at because it could leak chemicals. 3. The pool will not reach the temperature you have it set for. For example, if you have your temperature set at 75 degrees on the thermostat and the pool temperature is only 70, this could indicate a problem. Make sure you give the pool adequate time to heat up, but if that time has passed, then you should have your heater looked at. The heater may also switch off before it has reached the temperature you set it for. This also indicates it isn’t working like it should. If you are looking for help with your swimming pool heaters, contact us today at S & H Pools. Our experienced pool technicians can come out and take a look and determine if the heater needs to be repaired or replaced. We can repair your pool heaters for you or install a new one!